Welcome to the Home Page for Check-Secure. 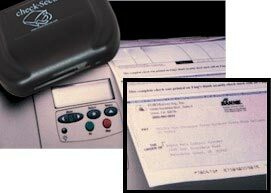 This product, by ACCEL Technologies, was developed to address the growing needs of the electronic document industry for open platform electronic document integration and to enhance control and security of electronic (laser) check and signature printing. ACCEL Technologies is based in Irvine, California and expressly sells through OEM's, System Integrators, and Resellers alike. If you are interested in reselling any of the products found on this page, please visit the Reseller page or Contact Us. If you are an end-user, please Contact Us directly and we will have someone get in touch with you immediately.